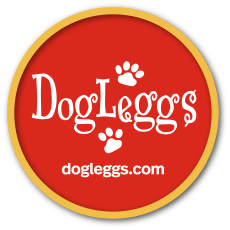 DogLeggs for the Front Leg Amputee are individually made based on the measurements you provide; this product usually ships 3 - 5 business days after the order is placed. Forelimb amputees place greater stress and incur increased trauma to the remaining elbow when lying down and rising. DogLeggs for Amputees offers coverage, padding and protection for the remaining elbow in the forelimb amputee. The standard design is intended for animals with a full limb amputation and consists of a vest with a single sleeve providing coverage of the elbow. In some cases, it may be necessary to make a prototype for fitting purposes. We will contact you to discuss the details if this is needed. 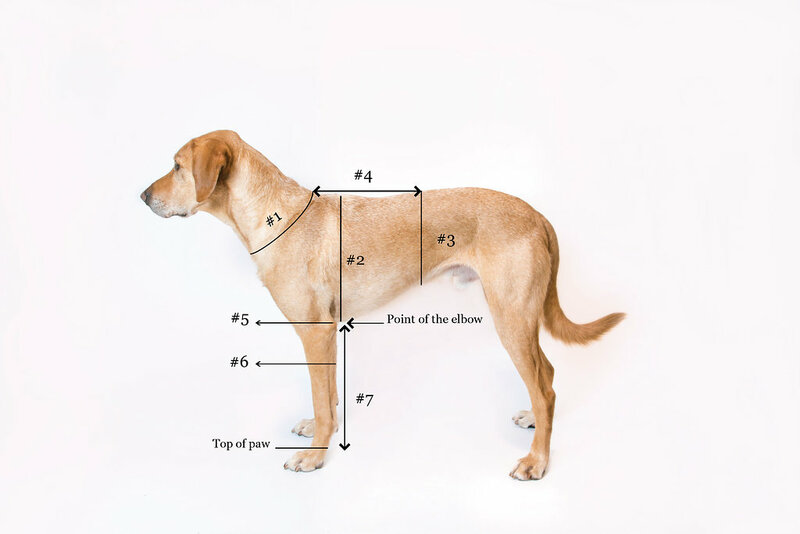 ** Alternate Measurement #6 (Both Legs) - If Measurement #7 is 6 inches or less, measure the leg half way between the Point of Elbow and Top of Paw. The vest portion of the DogLeggs for Amputees is constructed of a lightweight fleece-faced material that is highly breathable and has wicking properties. It closes along the back with VELCRO®Brand fasteners. The elbow cuff provides padding sufficient for giant breed dogs. The product is machine washable.